Families Build Futures:Super Heroes for Children: 4 to 6 p.m., North Middle School, 1135 N. West St., Lima. Education, activities, live music from Lima Symphony Orchestra. Free. 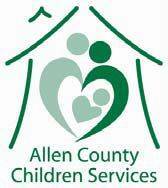 LIMA — Specialized Alternatives for Families and Youth’s Lima Behavioral Health and Allen County Children Services will host the event “Families Build Futures: Super Heroes for Children!” from 4 to 6 p.m. Tuesday, April 16, at North Middle School, 1135 N. West St., Lima. The event, which is part of Child Abuse Prevention Month, is an initiative to help families create and maintain strong, healthy relationships. The expo will provide education on family resources and address issues such as physical assault, sexual assault, family drug addiction and poverty. There will also be activities, snacks and live music provided by the Lima Symphony Orchestra. Admission is free, and all youth must be accompanied by parents. For more information, contact Judy Lester at 419-222-1527 or lesterj@safy.org.